I don’t blame them – the supplements companies have been immensely successful at creating a link between their products and getting bigger and stronger, or indeed slimmer and fitter. Many people struggle to attain their goals in the gym and don’t make the progress they have been led to expect, so the idea that you might need aids and products to help you seems intuitively right. Surely ordinary food and ordinary training can’t bring extraordinary results? Working out exactly how to eat and how to train isn’t easy; it took me years and I’m still learning. If you don’t know what you are doing and you are not getting results, you should really think about hiring a personal trainer who does – but in the meantime, back to those protein shakes you don’t know how to use. First of all, understand that protein is food and a protein shake is a food product. 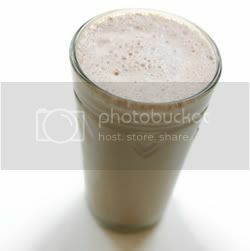 Protein shakes are generally made from whey or casein (milk protein) or a mixture of both. Treat a shake like you would any other food. Consider it part of your daily diet, count it in your calories. The protein in protein shakes provides exactly the same amount of energy as the protein in a piece of steak or a pot of yoghurt, which is roughly 4 kcals per gram. That said, there are reasons that many athletes and gym goers of all shapes and sizes utilise protein shakes. Protein shakes are a tool, like belts or gloves or kettlebells. They can be used successfully to reach goals, or they can be used abominably and create more problems than before. Your goal is to understand what protein shakes are useful for, and then decide if there’s a place for them in your grand plan. What are protein shakes for? While nobody needs protein shakes, they are a useful tool in some situations, relating to one’s lifestyle, type of training or body composition goals. Convenient: many sources of protein require refrigeration or need to be cooked/prepared in some way. If you lead the sort of lifestyle where you are rushing around, or don’t have access to a fridge at work, or can’t find somewhere decent for lunch, then keeping a tub of protein handy can be very useful. The powder is stored dry so will keep for a while, and only needs water adding to it to make a shake. Fast acting: protein shakes are fast acting, particularly whey protein; they are processed by the body more quickly than other types of protein. For this reason, they are often used post-workout in order to start the muscle building and repair process as soon as possible. For people who care about muscle building or maintenance, this is important. However, having a meal that includes protein within an hour or two of training also does the job for most of us. 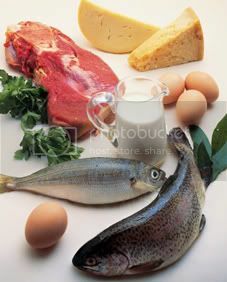 Low in saturated fat: many sources of protein, such as meat, eggs and dairy products, are also high in fat. So upping one’s protein intake (for training or body composition purposes) often means upping one’s saturated fat intake. Protein shakes don’t contain much saturated fat, so for anyone concerned about saturated fat intake, protein shakes can be an advantage over other sources of protein. Of course, there are sources of protein that aren’t high in fat, such as beans and legumes, but not everyone likes them or can eat them in the sort of quantities they need. Easy to consume: for those who are bulking or need to increase their overall calories for some reason, eating enough food can be difficult. There may be times of day (such as first thing in the morning) where you simply don’t feel like eating. Protein is particularly filling, meaning that you might eat less of it. So adding in some protein shakes can be an easy way of increasing your calories without feeling stuffed all the time. This can be particularly useful for endurance athletes, who don’t want to train with a lot of food sloshing around but need to get the calories in. But how much protein do I need anyway? Ay, there’s the rub. For people training on a regular basis, the usual prescription is 1-2 grams of protein per kilogram of bodyweight per day. So a 70kg person would require 70-140g of protein per day. This amount is obtainable from normal food but, for some of the reasons above, a person may get some of it from a shake. Someone training very frequently or doing a lot of resistance training would be at the top end of that range, 1.5-2g/kg. Someone training less frequently (2-3 times a week) and not doing much resistance training would be at the bottom end of the range, 1-1.5g/kg. It’s worth noting that our actual protein requirements are controversial: scientists can’t agree on how much protein we really need, whether athletes require more than the general population, how much protein we can utilise at one sitting and so on. This is probably why the advice is so confusing. Anyway, the prescription given above is probably more than we really need, but won’t do any harm. There are some people who swear by a much higher protein protocol. Lyle Macdonald, for example, recommends that strength/power athletes should aim for 1.5g of protein per pound of bodyweight per day (about 3.3 g/kg). However, there are studies that show that the body doesn’t use extra protein. Protein that is not used is simply excreted. In other words, reducing carbohydrate and replacing it with protein seems to help us burn more fat. It is also known that eating protein burns much more energy than eating carbohydrate or fat (thermic effect of food). Any downside of protein shakes? The main downside is that flavoured protein shakes contain sweeteners, additives and what-not. If you are concerned about sugar intake, you might prefer unflavoured protein powder. It doesn’t taste that bad, although you can mix it with something else if you like. Some brands of protein powder also add in other things like caffeine or green tea extract for ‘fat burning’, or carbs (e.g. maltodextrin) for ‘bulking’. You may or may not want this in your protein, so check the ingredients. It is very possible to get just pure protein, especially if you shop online. Other than unwanted additional ingredients, there’s nothing wrong with protein powder; it’s a simple enough product. Just be aware that it doesn’t contain the myriad other good things, such as vitamins and minerals, that ‘real food’ protein does, so your diet should still contain good protein sources. The chances are that you can get all the protein you need from your diet, but protein shakes might be useful when lifestyle dictates that you can’t eat as well as you’d like. If you are trying to lose fat or bodyweight, be aware that protein shakes contain calories just like anything else and need to be factored into the overall diet plan, not just added in willy-nilly. There is evidence that higher protein (and lower carbohydate) diets do help fat loss. Most ordinary trainees, that is, people who are not professional athletes or bodybuilders, can make best use of shakes around training (particularly post training) or to replace the odd meal or snack when nutritious food is not available. For hardgainers (people who find it hard to put on muscle) trying to bulk, a couple of regular protein shakes a day can be a useful boost to daily calorie intake. I trust you have enough information to make your decision. Personally I have used protein shakes on and off for a while and find them useful, especially when cutting or when I have a very busy work schedule. Real food still rules though! I still think whole milk is one of the best and cheapest ‘supps’ people can buy, especially for bulking. The amount of people who post on MH with a rubbish diet and workout, but want advice on supps and whether the latest Muscle and fitness Jay Cutler workout is for them is funny (nothing wrong with M+F though). Normally from kids who have been brainwashed by the advertising into thinking these supps are magical solutions. I don’t drink milk as a post workout drink for various reasons including not liking the taste of milk on its own and not having access to a fridge at my gym. I did try chocolate milk but it has too much sugar for my liking. Hard to please, aren’t I? laptops they are donating to friends and relatives in Zoomwood are packed safely in a compartment under the back seats. I did, three years ago. Magnificent beat ! I would like to apprentice even as you amend your web site, how could i subscribe for a weblog web site? We are a group of volunteers and openingg a brand new schem in our community. Your webssite provideed us with valuable info to work on. You’ve done a formidable job and our entire neighborhood might be grateful to you.